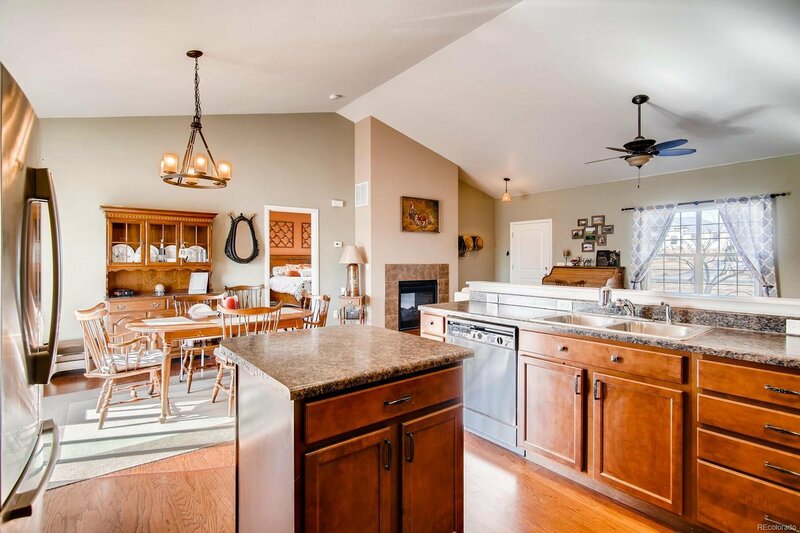 Rare opportunity to own a beautiful home on just over 2 acres at a great price! 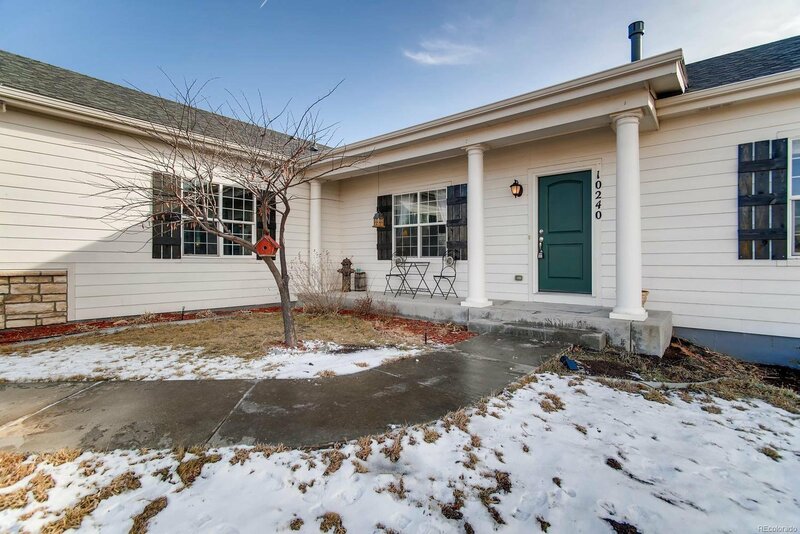 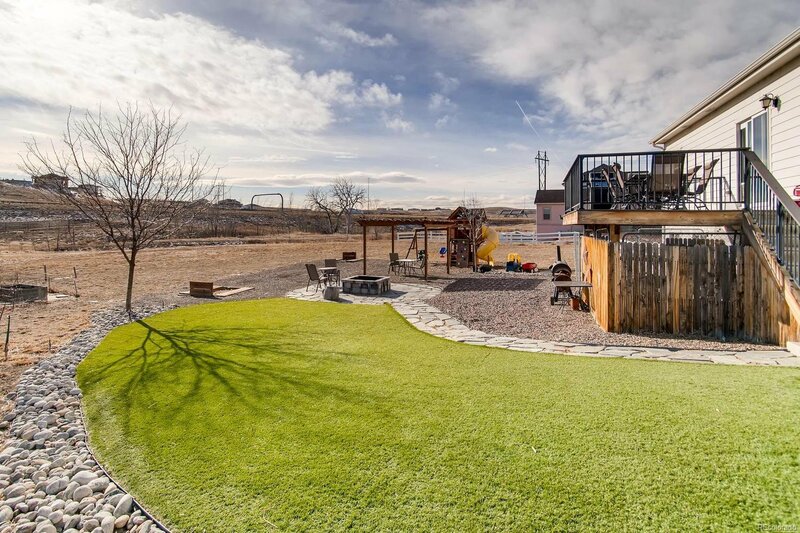 This home has 1,769 finished sq ft and an unfinished 1,189sq ft basement. 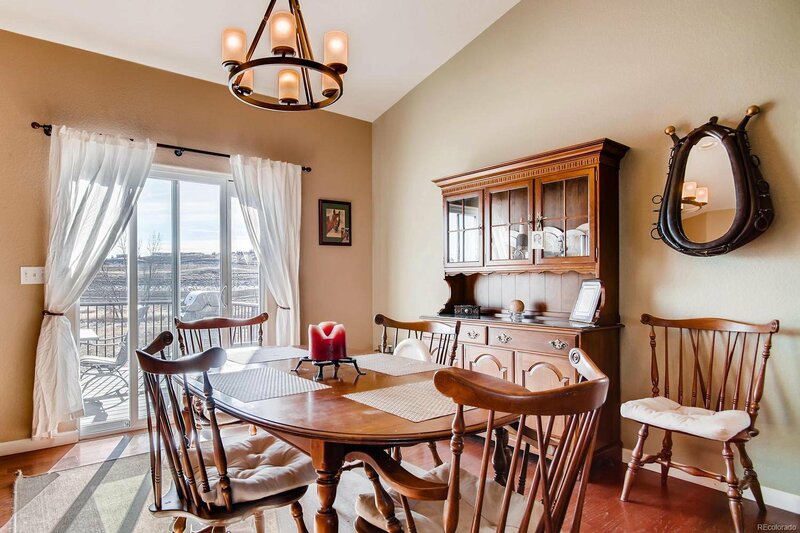 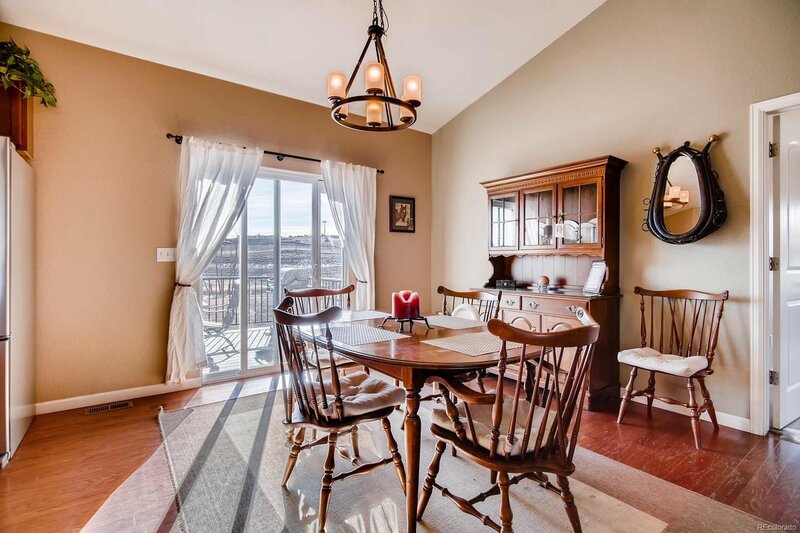 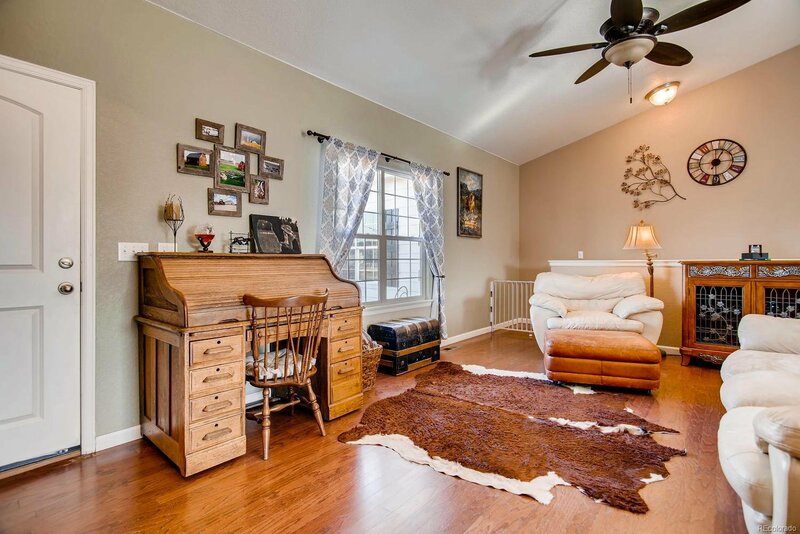 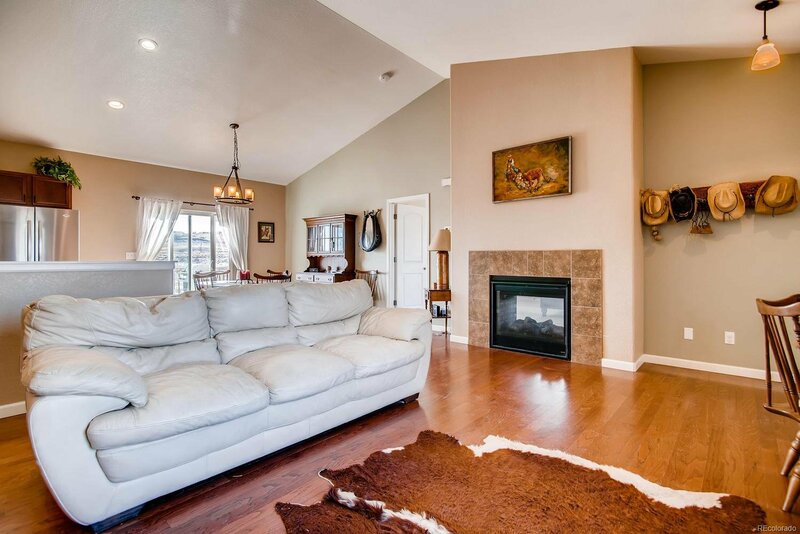 Bright, open great room is perfect for entertaining with vaulted ceiling and double-sided fireplace. 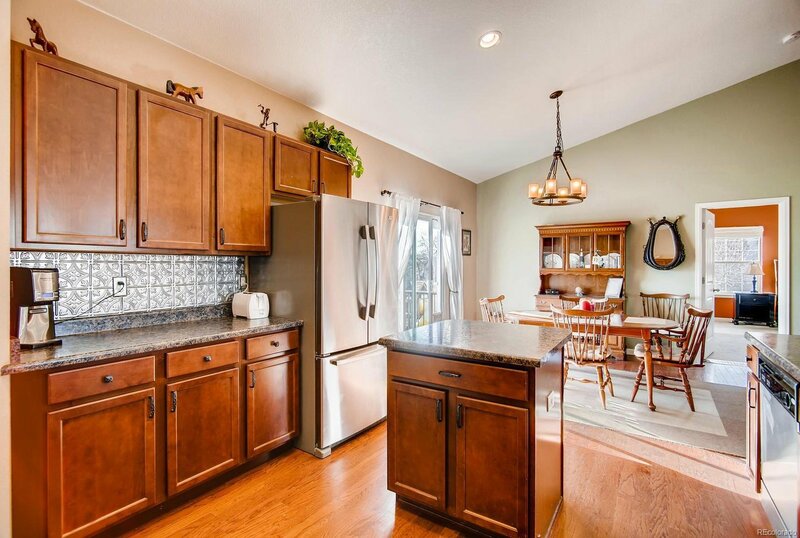 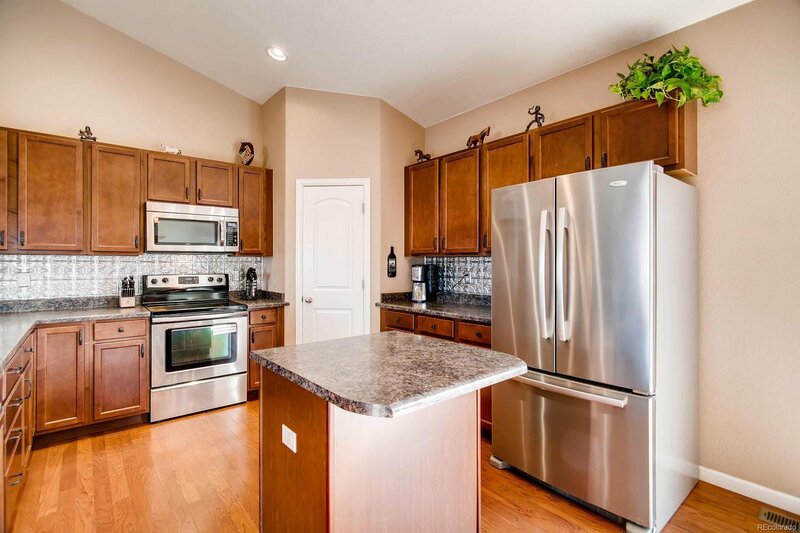 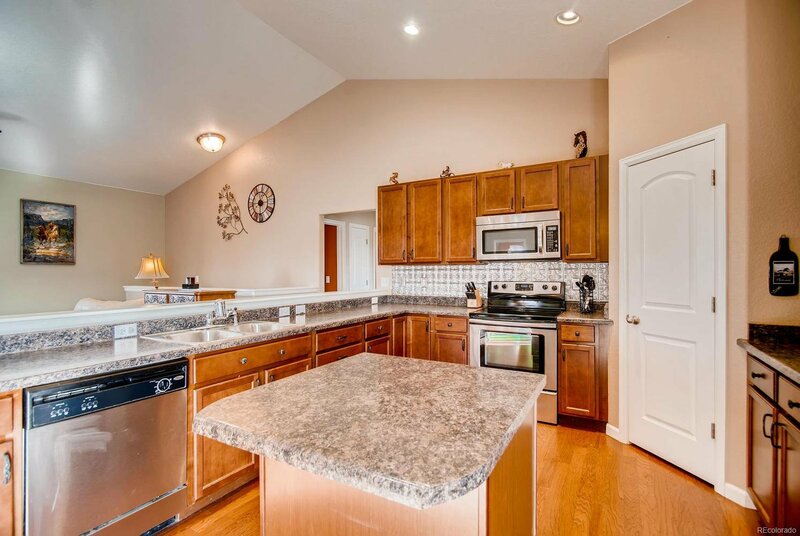 Kitchen has stainless steel appliances, upgraded backsplash, pantry and island. 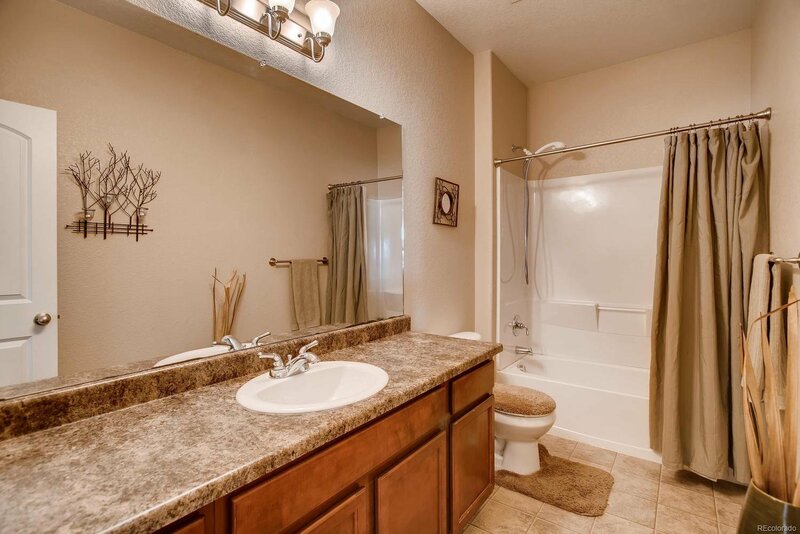 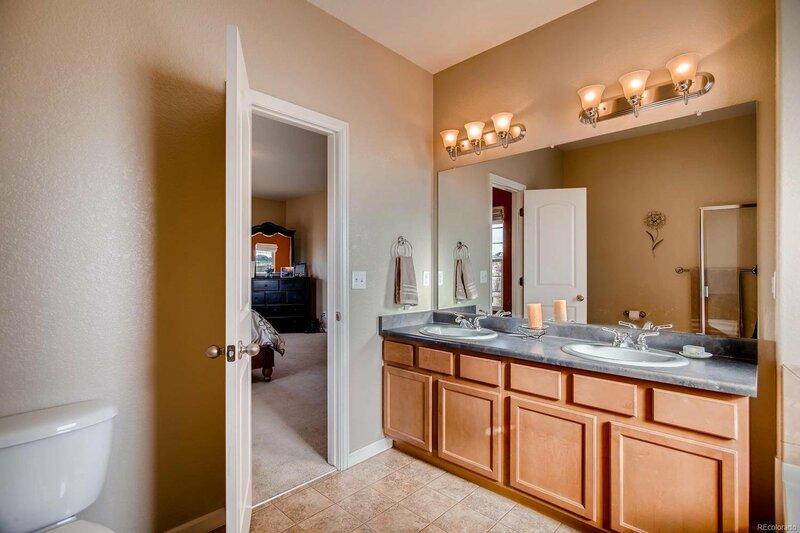 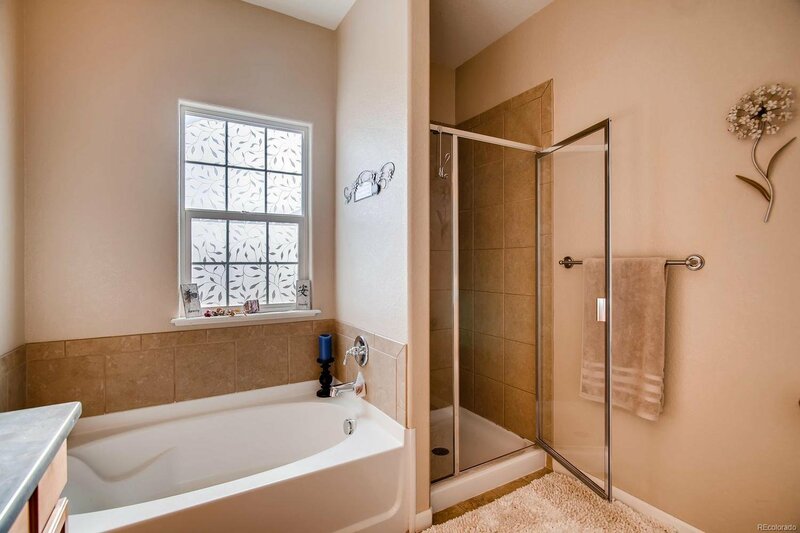 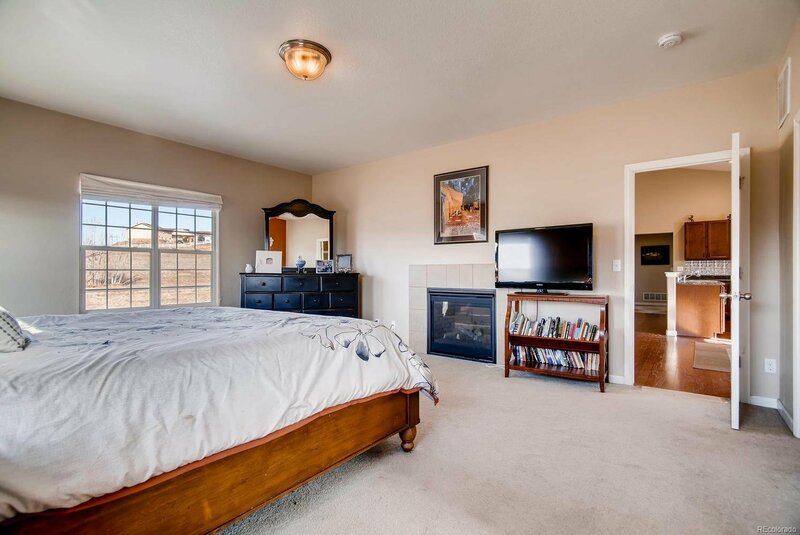 The master retreat is spacious and features a walk-in closet and en suite 5 piece master bath. 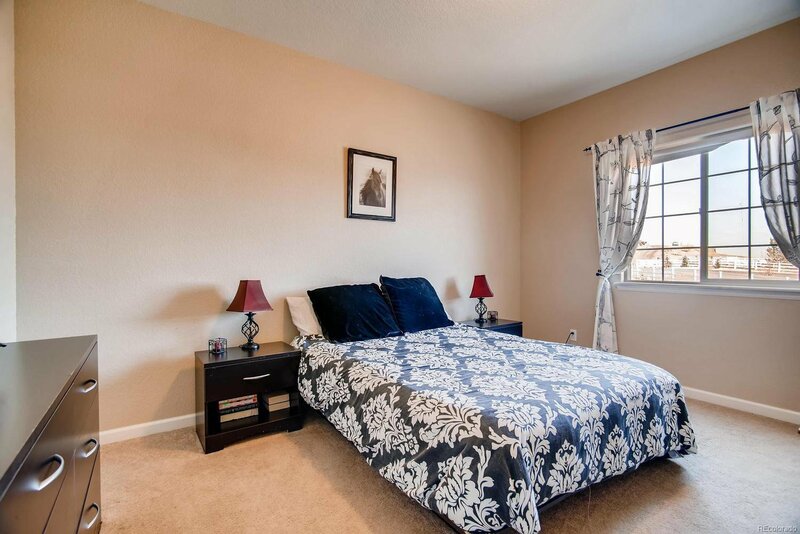 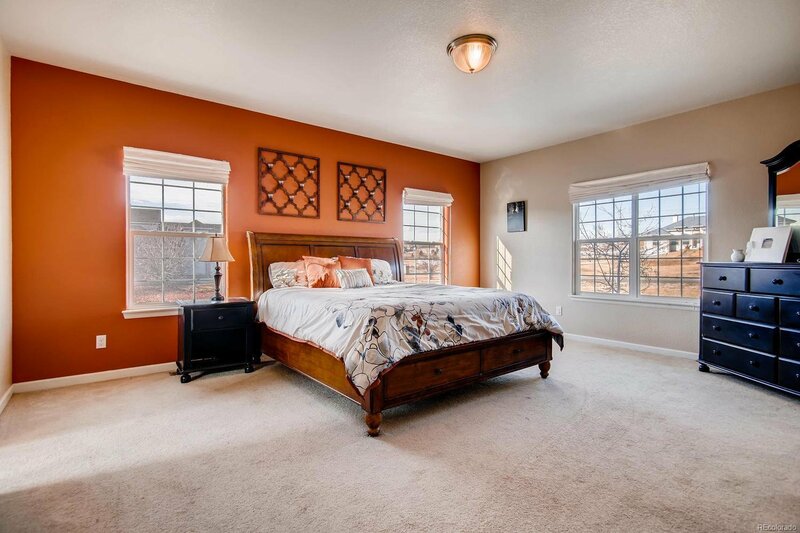 The two secondary bedrooms are on the other side of the home and both feature walk-in closets. 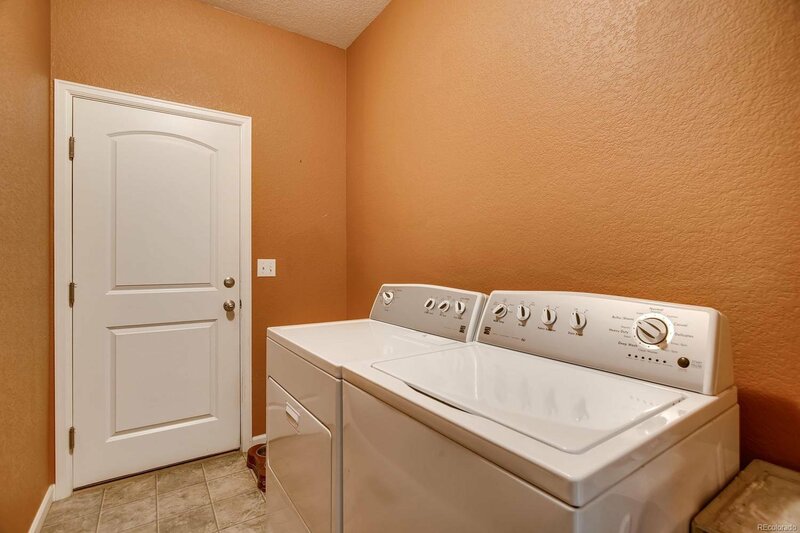 The attached 2 car garage leads into the laundry room/mudroom area. 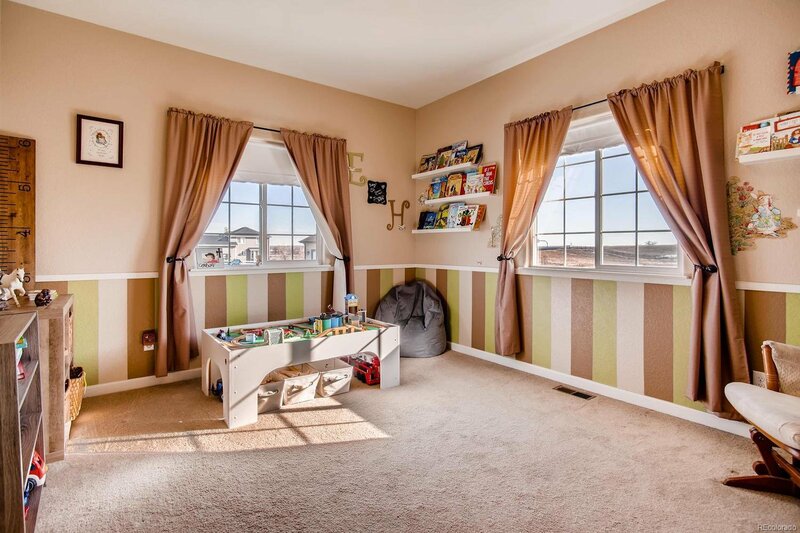 The basement is ready to be finished to meet your needs. 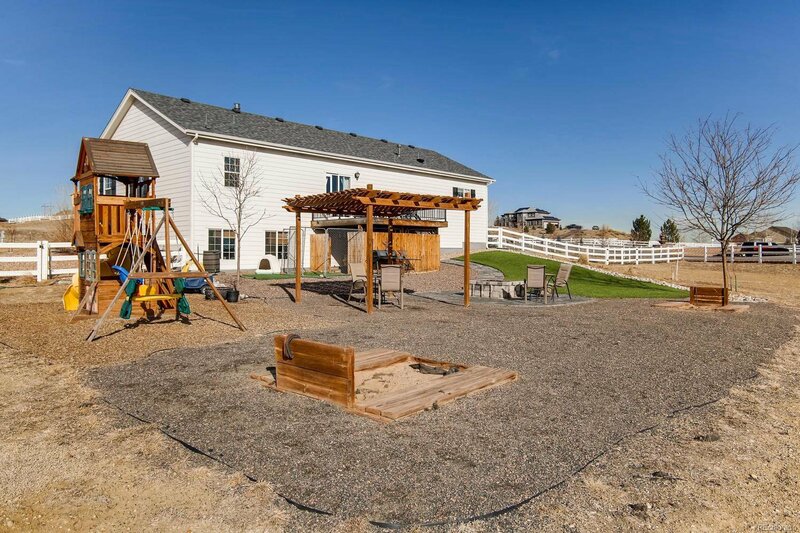 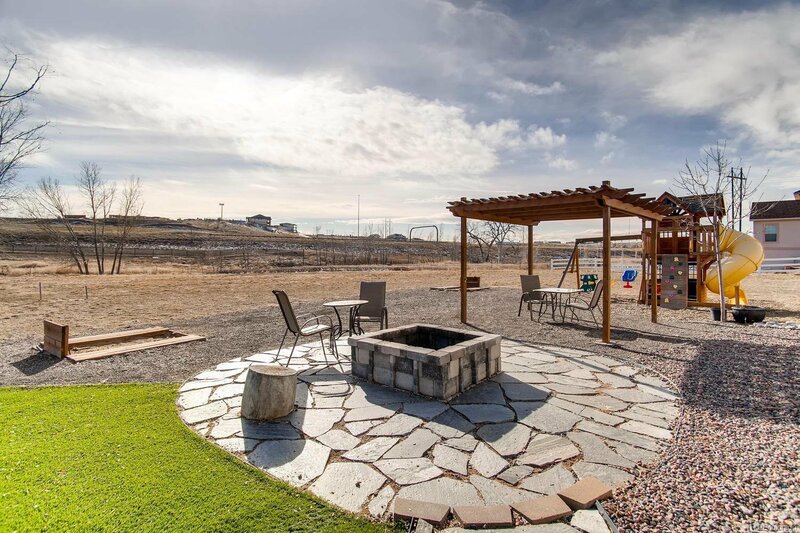 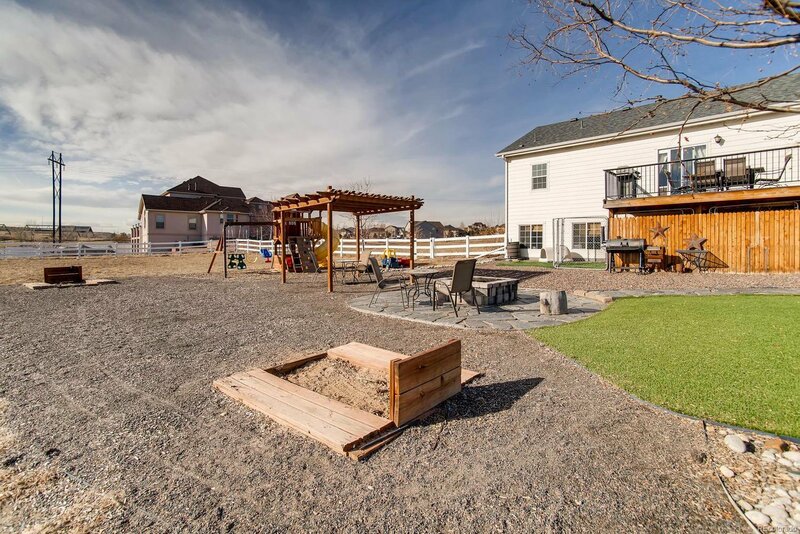 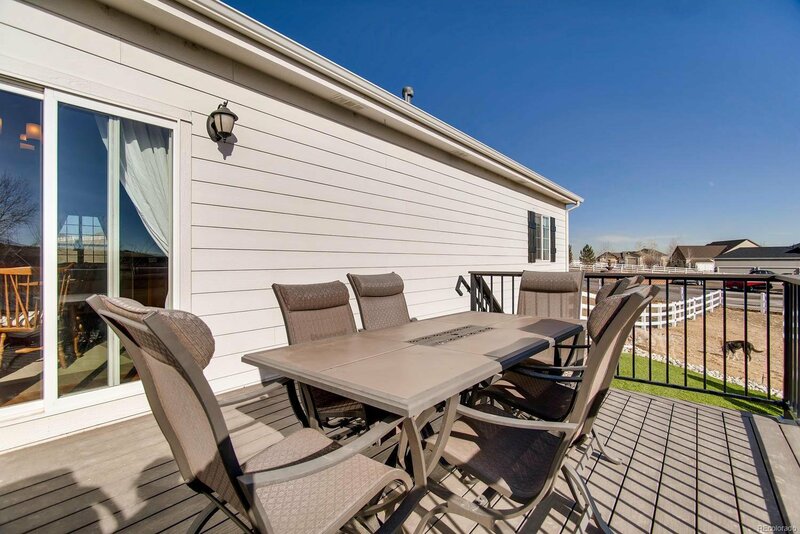 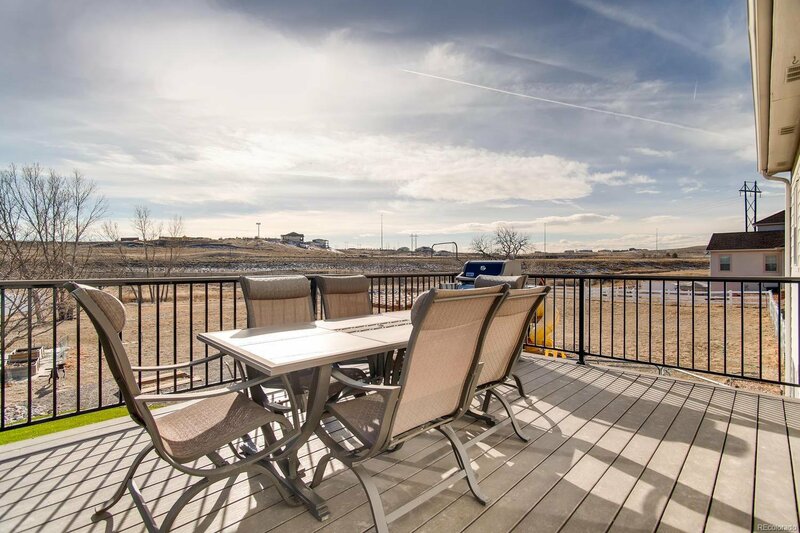 The backyard is an entertainer’s dream featuring a deck, fire pit with seating area, horseshoe pits, play structure and has high quality pet grade artificial turf. 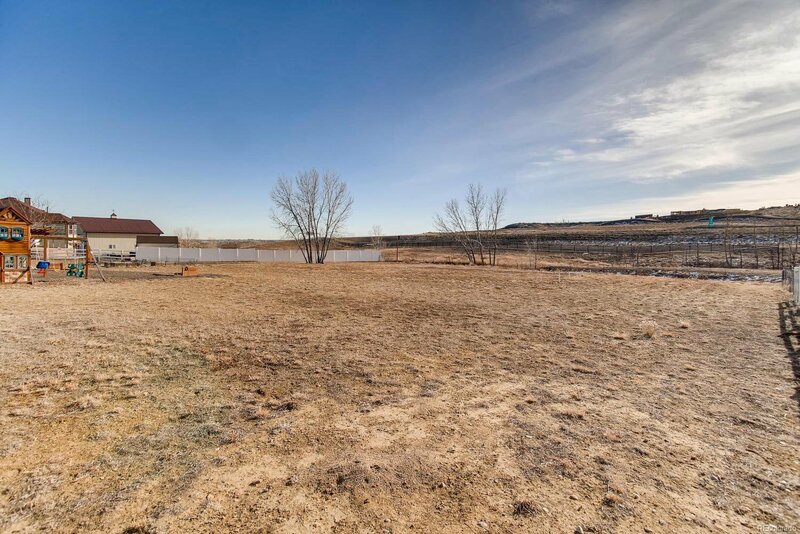 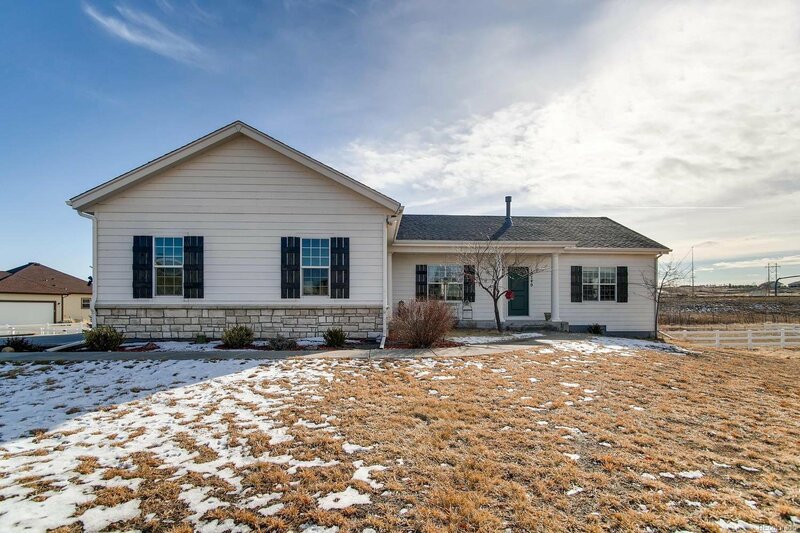 This property is zoned for horses and an outbuilding can be added. 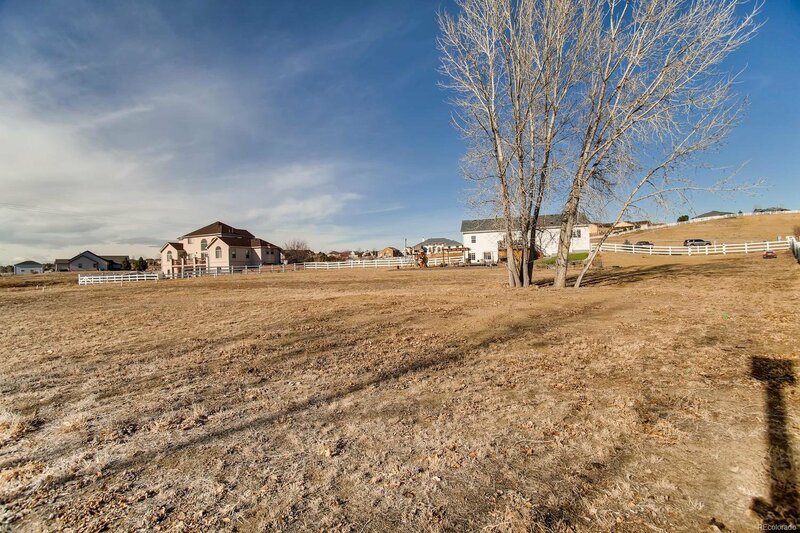 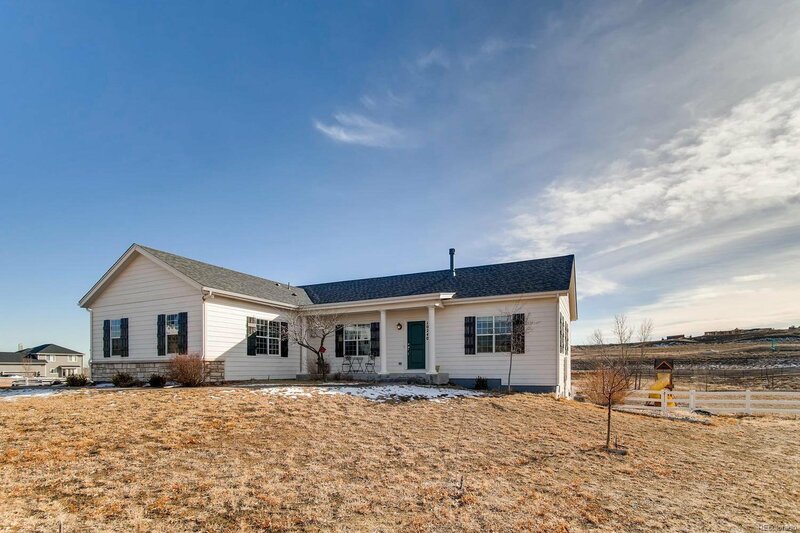 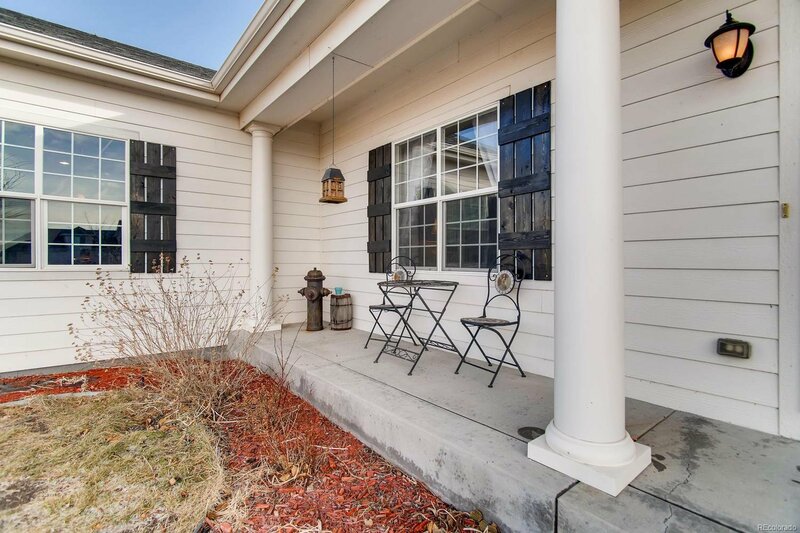 Don’t miss out on this chance to own a home on acreage in the Hawk Ridge subdivision, adjacent to Todd Creek.